Early in August 1937, a newsflash came: a sea monster had been spotted lurking off the shores of Nantucket Island. Historically, the Massachusetts island had served as a port for whaling ships. Eyewitnesses swore this wasn’t a whale, but some new, fearsome creature. As eyewitness accounts piled up, newspaper stories of the sea monster spread quickly. Across the nation, people shivered in fear. On August 18, more news spread across the island: the sea monster had been captured. Islanders ran to the beach and couldn’t believe their eyes. 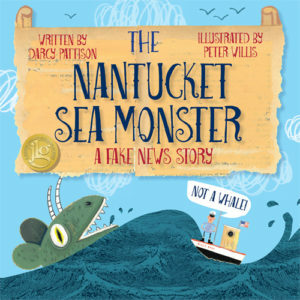 Lucky for us, Darcy Pattison captured this REAL fake news story in her latest picture book, The Nantucket Sea Monster: A Fake News Story, illustrated by Peter Willis. Oh, people. The title of this book is my favorite title of 2017. I remember sitting next to Sterling editor Meredith Mundy and author/illustrator Troy Cummings at an SCBWI event in Indiana last June when Darcy shared the title of this book. All three of us were so wishing we had thought of it first. 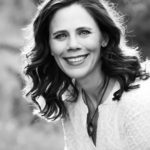 Darcy was kind enough to stop by Picture Book Builders for an interview. Darcy, congratulations on your latest book! What led you to writing this story? Of course, the political climate of 2016 influenced the choices in this book, making it timely. However, I originally researched the event much earlier. In 2010, I visited Nantucket Island to research Tony Sarg, the inventor of the Macy’s Thanksgiving Day Parade balloons. He was a puppeteer and saw the balloons as upside down marionettes. 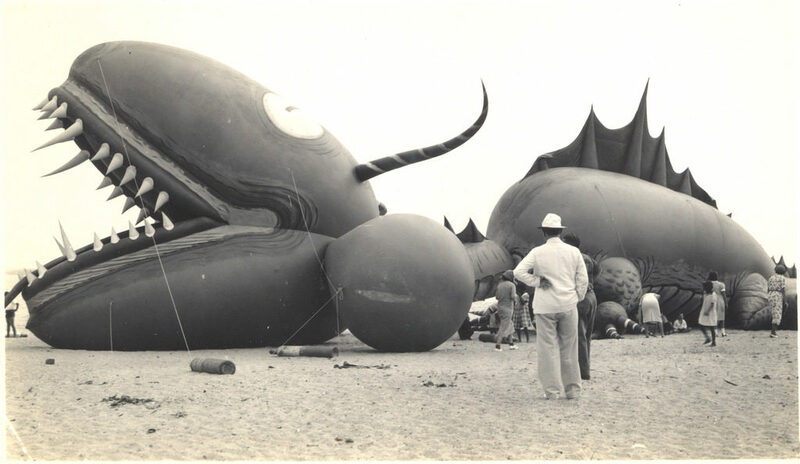 The 1937 publicity stunt with a sea monster balloon was the focus of my research, so I interviewed people who had seen the balloon when they were children. The research went well, but the museum personnel said another author was researching Sarg, as well. That was Melissa Sweet. Her 2012 book Balloons Over Broadway, a biography of Sarg, won the 2012 OrbisPictus award. That meant my story was dead. Here’s the thing, though. I was never interested in a biography of Tony Sarg. The publicity stunt was my focus. When the political situation of 2016 started to emphasize fake news, I recognized an opportunity to bring the story back out and work on it. With little effort, I re-focused slightly to emphasize the fake news aspect. Moral: Stories are never dead; they are composting and waiting for the right time to come to life! Did you face any particular challenges while working on this book? Fortunately, documentation abounds for this story. The Nantucket Historical Society provides photos of the sea monster on its Flickr accountalbum, “Tony Sarg’s Sea Monster” (https://www.flickr.com/photos/nantuckethistoricalassociation/sets/72157612238433015/). Digital archives of the island’s newspaper, The Inquirer and Mirror, are available on the Nantucket Atheneum site (http://digital.olivesoftware.com/olive/apa/nantucket/). But availability doesn’t mean that it’s any easier to analyze and make sense of information. Timelines seem to be crucial in my story writing. The events of August 1937 were clear, but I wanted to understand how they developed. Researching the island’s newspaper, The Nantucket Nantucket Publicity Committee was created on March 13, 1937. Most of the people involved with the hoax were on that committee. Also, I needed to trace how the balloon arrived on the island because it weighed 300 lbs, and needed about 9000 lbs of compressed air. Many details only received a single line in the Timeline included in the back matter. Yet, I couldn’t write the story until I had full timeline in hand. 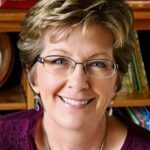 Please share a couple of tips for writing nonfiction picture books. Because I write narrative nonfiction, the timeline is a crucial prewriting phase for me. I put everything in time order, even events that seem unrelated. Sometimes, those details become important in understanding and telling the story. Once the timeline is ordered, though, I still need to find the right place to begin the story. For that, I think about the most dramatic way to structure the story to keep the reader turning the pages. I look for an exciting or startling moment to give the story a strong hook. The Nantucket Sea Monster: A Fake News Story is Junior Library Guild selection. 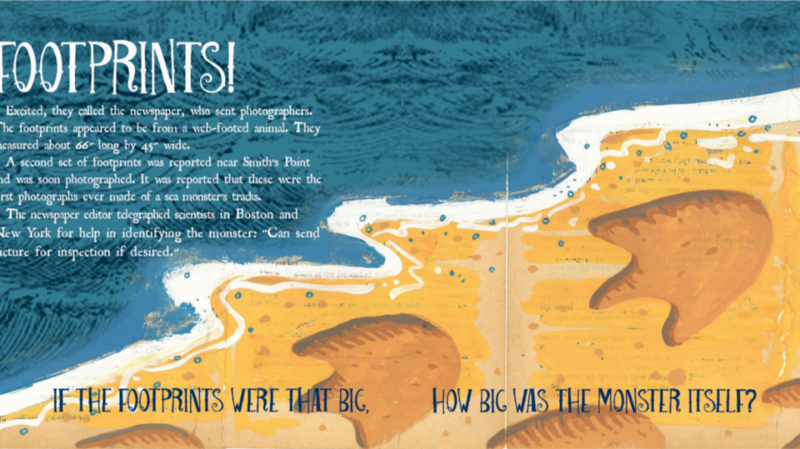 The Nantucket Sea Monster: A Fake News Story is short-listed for the 2018 NCTE OrbisPictus nonfiction picture book award, which is appropriate since the previous book about Tony Sarg was a 2012 OrbisPictus. I also write middle grade novels and out this spring is Road Whiz, a sports story about running 5Ks. Thank you, Darcy, for visiting Picture Book Builders. We wish you much success with this book! Darcy Pattison, Peter Willis, Tammi Sauer. Bookmark. This title makes my fingers itch to read this book! Thank you for such a fun and behind the scenes look at this creative concept and I love that this story had been thought dead and sprang back to life with this new twist. As a fan of Darcy’s WISDOM The Midway Albatross, OLIVER K. WOODMAN and Darcy’s incredible blog with so much writing advice, I really look forward to reading this book! Wow! So clever and creative— can’t wait to read this, Tammi. Thanks to you and Darcy for this great post! Genius title. Can’t wait to read! I love reading how you kept going, waiting for the perfect time to write this story. And the research strategies are great! Lovely! Darcy is full of great advice! Ohhh, I want to see this one! Thanks, Tammi. Sounds like a fun story. Orson Wells would have loved it! Thanks Picture Book Builders for bringing this to my attention – it’s the first I’ve heard of it and would love to win a copy! I’m so glad for this chance to help spread the word! Thank you for sharing how you find your hook! I can’t wait to read it. Thanks for the interview, Tammi! I love the timing of this book, Darcy! Thanks ladies! What an interesting interview! I love this topic and can’t wait to read Darcy’s book. I’ve read her work before and she’s an excellent story teller. It was great reading how she researched the book and also found a way to make an older event relevant to children now so they understand that what they see, read and hear in the “news” is not always the truth either. Oh my gosh, this sounds fantastic!!!!! Can’t wait to read it. What a fun approach…thanks for sharing! I am so happy you wrote this book, Darcy, and sad, as a journalist, that I didn’t write it first. 🙂 It sounds delicious and timely. Can’t wait to read it! What words of wisdom! Thank you for sharing your our process. Love how you found this story to tell. I will be reading it! OMG!!! I have to have this book!! Your comment about getting the timeline and then picking where to begin telling the story was very insightful to me. I look forward to reading your book. Thanks for sharing this behind the curtains look! I’d never heard about this. I’m anxious to read your story! There were sea monster rumors in Gloucester MA too, but no official hoax! Thanks for sharing how this story came to be, Tammi & Darcy! What a great idea for a story. Looking forward to reading it. “The Nantucket Sea Monster: A Fake News Story” sounds like a terrific read. I also look forward to your “Road Whiz” MG novel when it’s out. 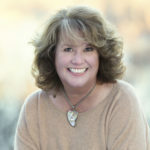 I was at the Indiana conference when Darcy first talked about her book. I’ve been intrigued ever since. I can’t wait to read this one! That’s what hooked me, too! Love this! Both the book itself and the story behind it. And I’m amazed that Darcy pulled the story back out in 2016, and here it is in published form in 2017. How did that happen?! Even my speediest books take more than 2 years. But what perfect timing for this “fake news” era (may it end soon!). Thanks, Tammi, and congrats, Darcy! She REALLY knows the business. 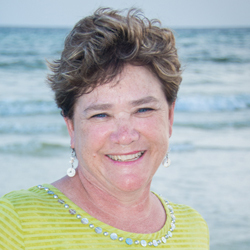 Many of her self-published books have received stars and major awards. Congrats, Darcy! This book is destined for great things! I have never heard this news story. I’m so excited to read this book! Thank you for sharing it with us. I just read this and found it fascinating! Thanks for sharing this book! 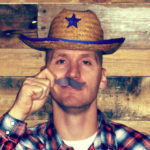 I look forward to reading, and there’s great advice in this post too. Can’t wait to read this one! Thanks for sharing.. Darcy is truly dedicated to sleuthing for details and shaping into stories. I’m a huge fan of Darcy’s Oliver K Woodman, just recommended it last week to someone. What a great story and title! Can’t wait to read it. Wow! This PB looks so interesting! It’s not just for kids. I was hooked by Darcy’s presentation at our IN SCBWI conference. She knows how to research a topic and pick out the details that excite readers. I love that this Fake News story was real! Thanks for sharing this, Tammi! I’m looking forward to reading the account in full! I know. What a twist! Oh my! That is the best title. Can’t wait to read it! Darcy also has a great eye for illustration. The beautiful art caps the whole thing off. Way to go, Darcy! This book looks so good. I need to read it. Thanks for sharing.